Anastasia Riazanova works with MFC since 2016. She is a member of the H2020 BBI JU Exilva project. Her current research activities involve state-of-the-art structure-property relationship analysis of MFC and CNF based materials. Nowadays Anastasia is working as a researcher at KTH Royal Institute of Technology, Department of Fibre and Polymer Technology, Wallenberg Wood Science Center WWSC (Stockholm, Sweden). Anastasia has a PhD degree in Materials Science and Engineering (KTH, 2013). Her biggest passion is high-resolution electron microscopy and microanalysis. 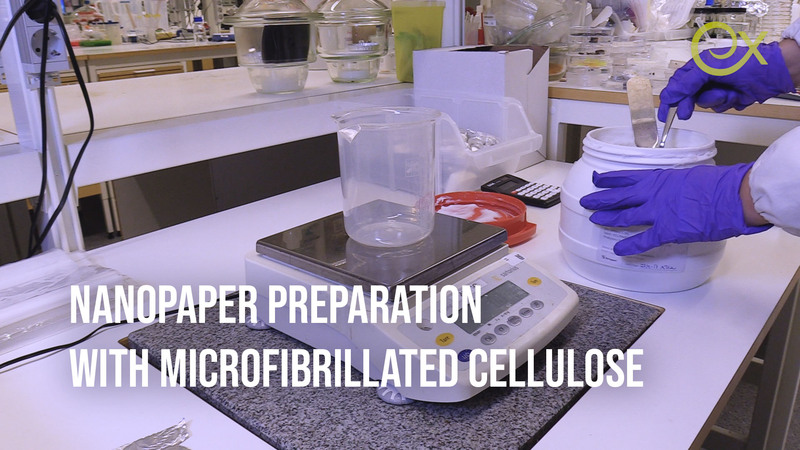 Making nanopaper is an good test on the characteristics of cellulose fibrils, and especially strength and durability. In this weeks blog from the Exilva blog, our H2020 partners at KTH are showing you how to make the nanopaper in a "step-by-step" practical example. The making of nanopaper quickly illustrates the strength performance you can get from this material once it forms paper or film. Spend a couple of minutes, and you will quickly understand why this material can take a leading part in the dual focus of increased sustainability and performance.